Stuck again with 6502 Assembly, but in a real rut this time. Writing a string to integer routine and integer to string routine. One works, the other not so much. I’ll update when I can figure it out. The Synology NAS are capable of providing DLNA services so you can view photos, watch movies, and listen to music from DLNA clients connected to the NAS. This is very convenient for consuming your content from different devices you own (such as tablets, phones, game consoles, smart TV’s and of course smart BluRay players). Out of the box my Sony BluRay player (BDP-S5100) had trouble playing back video files yielding the error “The file is corrupt or unsupported”. 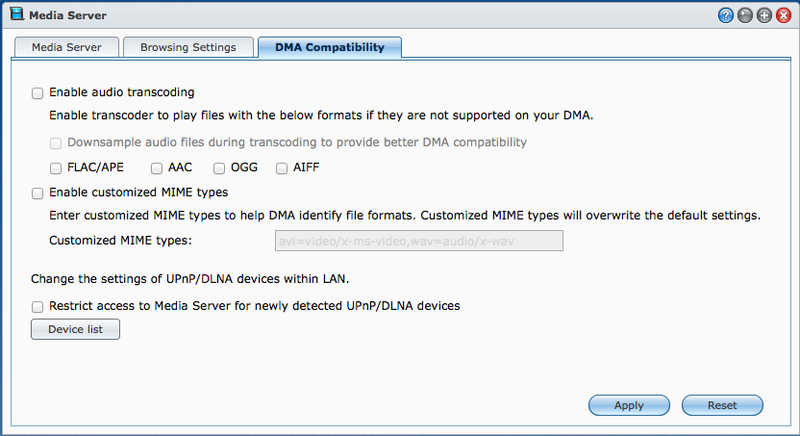 After some research I found it has to do with the default device profile the Synology DSM software assigns to it. Before you can serve your content via DLNA you have to prep the Synology to do so. First open the start menu. 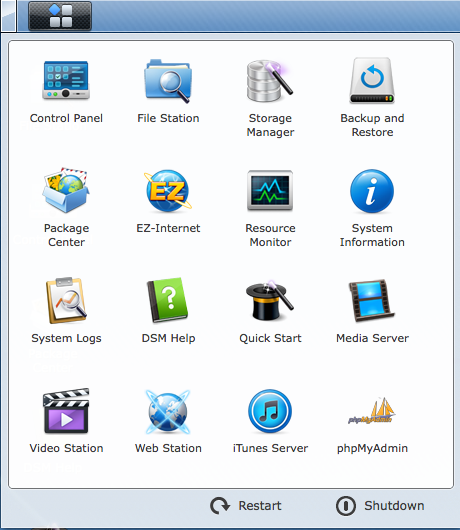 If you don’t have Media Server package installed (no icon) open Package Center and install the Media Server package from the Multimedia section. Indexing will start when you save the configuration. When you add new files to the locations they will be added to the index after a short period of time. If you have a lot of files the indexing process can and will take a long time to complete. By a long time, I mean it could be several days so be patient. You can check the status by logging into DSM. It will have a spinning icon in the task bar at the top if there is a background task (such as indexing) running. You can also open the Media Indexing Service control panel item and it will have a red message stating that indexing is occurring if it is. NOTE: You can probably put all 3 types in one folder, and it may be presented as one folder via DLNA. The way it appears the way I have it setup is three different folders. I have not tried it in one folder. After the Synology unit has indexed the media files, you are ready to start consuming it. 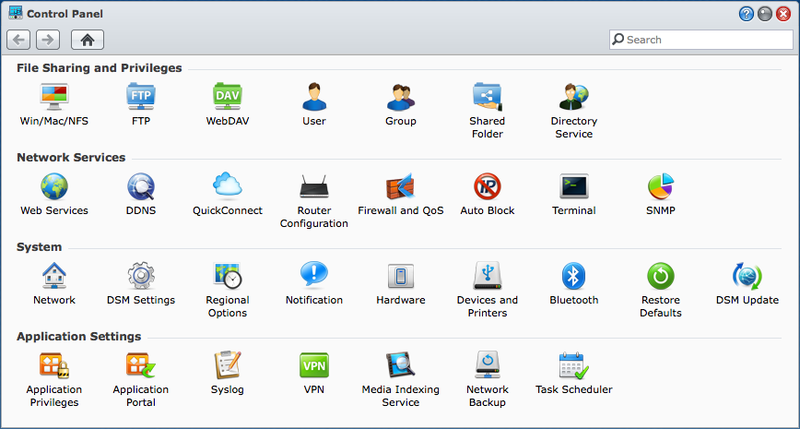 As you connect devices to the Synology NAS via DLNA, the NAS will add it to a device list and assign a profile to it. I believe it tries to do this intelligently but for some reason some profiles don’t reflect the client device accurately. In this case you have to correct it.